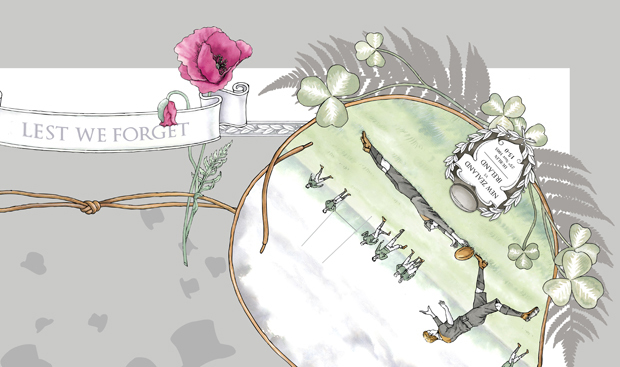 Being ANZAC day and a WWI centenary year, I was reminded of this scarf design I (Tanya Wolfkamp) did for Codi Design in 2010. 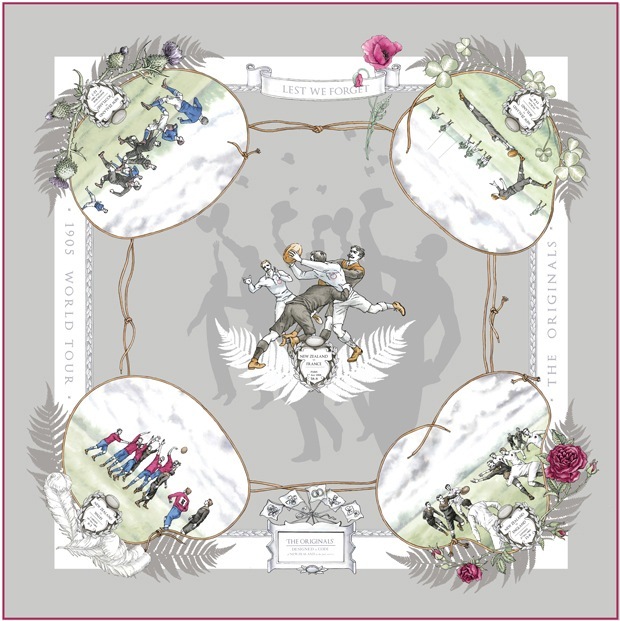 It was designed as a 90 cm square, silk scarf for the 2011 Rugby World Cup. I was going for a classic Hermes look, using neutral colours in the background with accent jewel tones for interest. 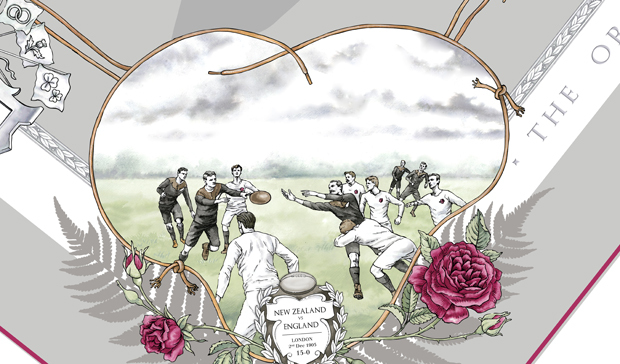 The design features the 1905 ‘Originals’, the first New Zealand national rugby union team to tour the Northern Hemisphere. They won 34 of their 35 matches and popularised both the haka and the ‘All Blacks’ nickname. 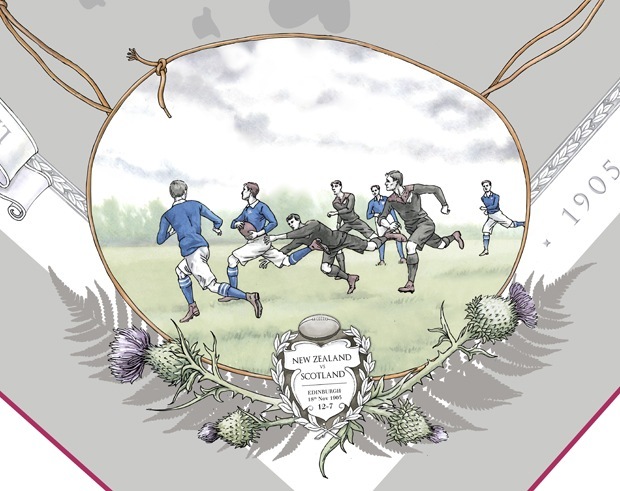 The design features a scene from the four test games played in the UK in 1905, (Scotland 18th November, Ireland 25th November, England 2nd December and Wales 16th December) in each corner with the French test of Feb 1906 in the middle. I can never think of this tour without thinking of the many test rugby players who died in WWI, most notably the New Zealand Captain, Dave Gallaher, which is why I added the poppy and ‘Lest We Forget’.